The treatment for a broken rib is simple: it can heal on its own with proper rest, but can take approximately six weeks to completely heal. In the meantime, you may experience a significant amount of pain, which can be remedied with pain relievers and by icing the affected area. In more serious cases, medical attention may be required. Rib injuries are most commonly caused by chest trauma, as a result of motor vehicle accidents, contact sports collisions, or falling. 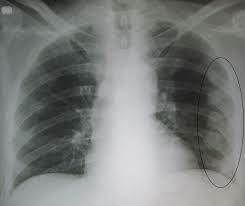 Ribs can also be bruised from severe coughing. Fractured (or cracked) ribs are as painful as fully broken ribs, but they aren’t as dangerous. The jagged edge of a broken rib can damage major blood vessels or internal organs, if not properly treated. If you’ve experienced trauma to your upper torso or chest area, pay attention to the pain you feel when you breathe in. A fractured, broken, or bruised rib can feel very painful when breathing in, which may result in taking shallow breaths. When this happens, it’s important to work through this pain and continue taking deep breaths or breathing regularly. Continuous shallow breathing can result in the development of serious chest infections, such as pneumonia. You may also notice swelling and tenderness around your chest or develop bruising on the skin of the area. Taking ibuprofen or paracetamol pain relievers regularly. Using an ice pack to reduce the pain and swelling around your chest. Resting when needed, which means taking time off work if your job involves physical labor. Staying mobile when not resting, which can help your breathing and clear mucus from your lungs. Holding a pillow to your chest when you need to cough. Practicing breathing exercises to keep your lungs clear. If you’re experiencing extreme pain or your ribs haven’t healed after six weeks, visit a medical professional. 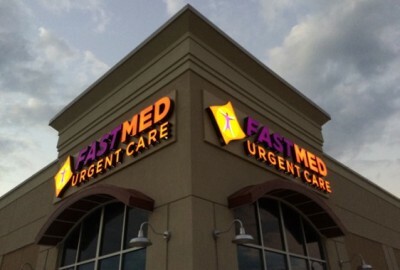 FastMed Urgent Care offers affordable and compassionate care, and our healthcare professionals strive to see each of our patients promptly, making your visit as fast as possible. Find a FastMed near you to get the care you need for your injured ribs.